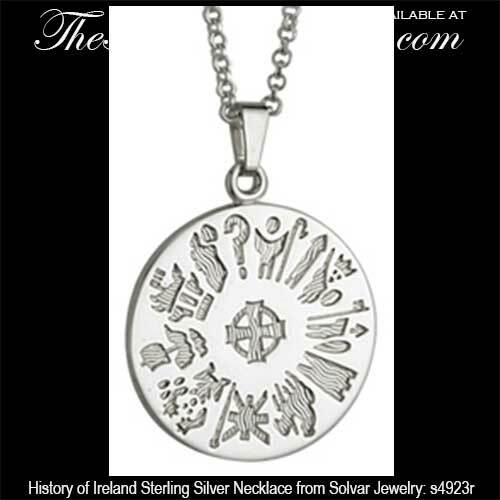 History of Ireland necklace is crafted of sterling silver in the shape of a disk. This History of Ireland necklace is retired and we are limited to stock on hand. This circular piece of History of Ireland jewelry is made by Solvar in Dublin, Ireland; it is available at The Irish Gift House.